Farnborough Air Show – Digital Recruitment and me. I took the boys to Farnborough Airshow this weekend and what a fabulous time we had. 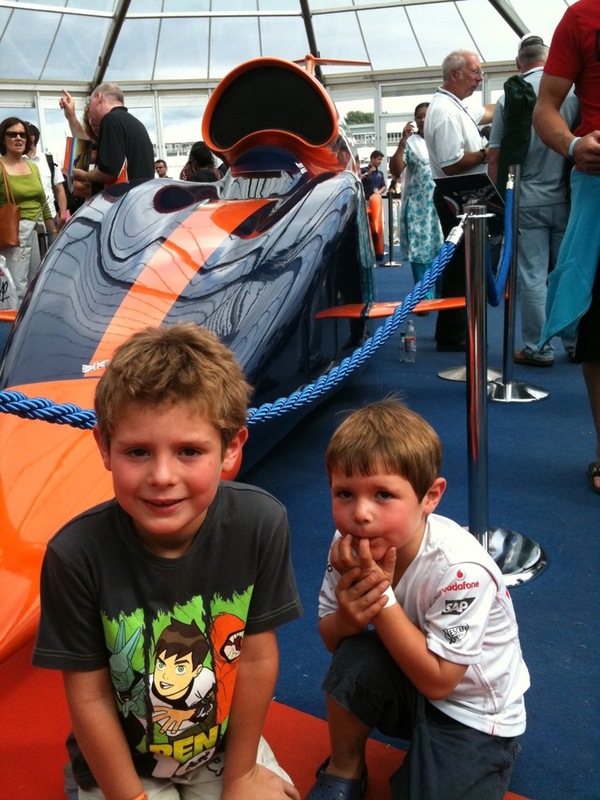 The boys spotted the Bloodhound Supersonic car which is set to become the fastest car in the world at 1000MPH.?? Being at Farnborough reminded me of my days working at Rediffusion Simulation. We used to take flight simulators to the show for the trade days and I would often hang around the show when I wasn’t working on the Computer systems that drove the SIM. The Farborough show comes around every 2 years and the last time I went, I took a four year old Nathan and left James at home to this was James 1st time. One highlight was the “Battle of Britain” flight which the boys were highly entertained with. Spitfires and Hurricanes did mock battle with fast flying Messerschmitts. At one point a Lancaster bomber took off and was guarded by Spitfires flying side by side. What a great scene and the boys were keen to learn about the war when these birds used to take to the sky for real.